(SitNews) Washington, D. C. - Today, U.S. Sen. Lisa Murkowski (R-Alaska) chaired an oversight hearing held by the Committee on Energy and Natural Resources to examine the U.S. Forest Service’s $4.7 billion budget proposal for Fiscal Year 2018, which would be about $880 million less than the previous fiscal year. Murkowski opened the hearing by noting that when making tough funding decisions, Congress must ensure the Forest Service has the resources it needs to meet basic forest health needs before funding other programs. Murkowski today during the oversight hearing to examine the president’s budget request for the U.S. Forest Service for Fiscal Year 2018. Photo capture from Senate Committee on Energy and Natural Resources' video. Murkowski also spoke about the Forest Service’s management failures and how those failures have negatively impacted the budgets and economies of forested communities in Alaska and the Lower 48. Murkowski also spoke about the need for stable funding for wildland fire management. Tom Tidwell responds to questions asked by Sen. Murkowski during today's oversight hearing held by the Committee on Energy and Natural Resources. Thomas L. "Tom" Tidwell is the 17th and Current Chief of the United States Forest Service of the Department of Agriculture. He was appointed on July 17, 2009. During the first question and answer portion of the hearing, Murkowski asked Tidwell about the Forest Service’s strategy for air tanker modernization, which is critical to firefighting efforts. Murkowski expressed concern with the Forest Service’s continued push to purchase converted military aircraft for its fleet, as those aircraft would place the private industry’s next generation tankers in direct competition with the government for work. Tidwell reassured Murkowski that the majority of the fleet will be privately owned. Murkowski next asked Tidwell about the Forest Service’s decision to restrict opportunities for new outfitters and guides in the Chugach National Forest, which covers 5.4 million acres in southcentral Alaska. While the Forest Service has a history of denying permits for new tourism operations in the Tongass National Forest in southeast Alaska, the agency has also imposed a moratorium on permits for new guides and outfitters in the Chugach. Last year, Tidwell issued a memorandum encouraging forests with such bans to consider lifting them, but the Chugach has taken no action since then. Murkowski noted that numerous guiding operations have been told to “check back” for permits in several years, with one guide being told to come back in seven years. Tidwell committed to reviewing the issue. 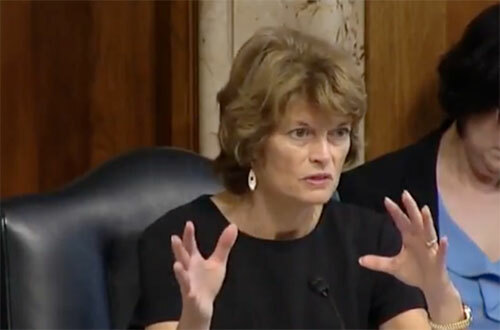 Murkowski also questioned Tidwell about the Forest Service’s position on the Cooper Landing bypass route, the agency’s plans to increase timber harvesting in the Tongass, and the financial analysis behind its hurried transition to young-growth harvesting in the Tongass, which Tidwell agreed to provide. Murkowski’s final question to Tidwell was about the Secure Rural Schools program. Tidwell was unable to say whether the administration supports the program, but noted that it helps provide a safety net and certainty to affected counties and boroughs. 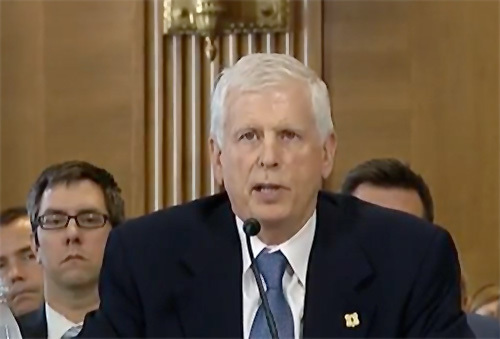 An archived video of today’s hearing can be found on the Senate Committee on Energy and Natural Resources’ website.